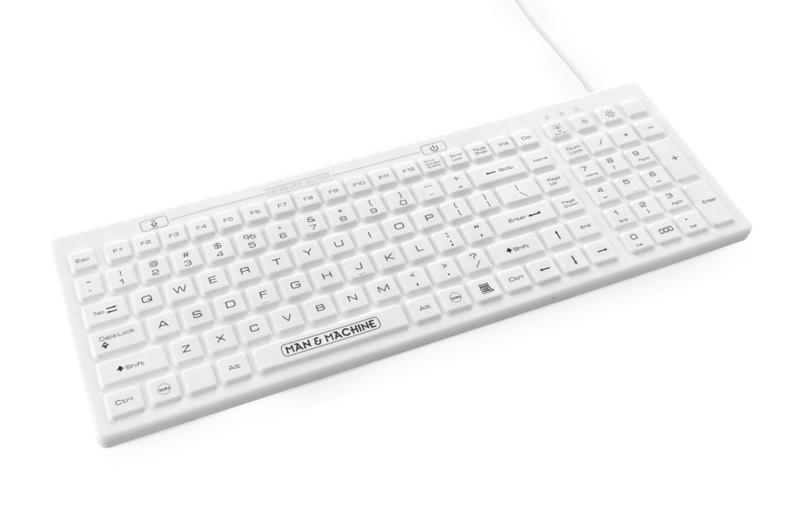 The D Cool Keyboard is the budget friendly washable keyboard available in hygienic white or black. The D Cool keyboard is a good solution for users in medical, dental or laboratory environments where hand hygiene is a concern. Doctors find this full sized keyboard an easy way to improve their infection control regimen and help prevent illnesses from spreading among their staff and patients. 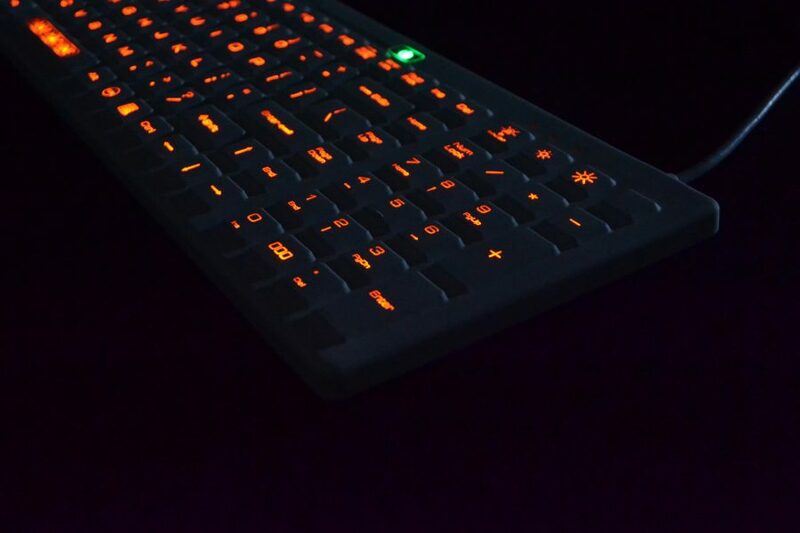 Every D Cool comes standard with a built-in backlight and its rounded keys make washing easy. 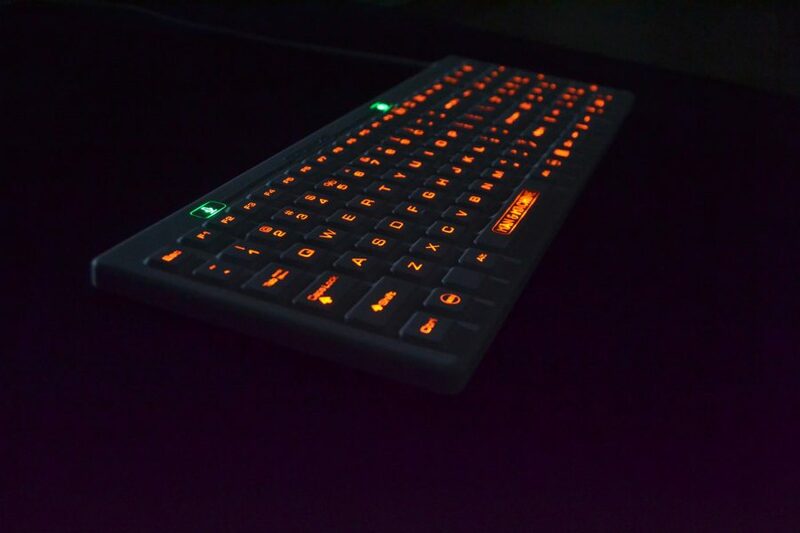 The backlight, with two levels of brightness, makes typing in low-light environments easy. 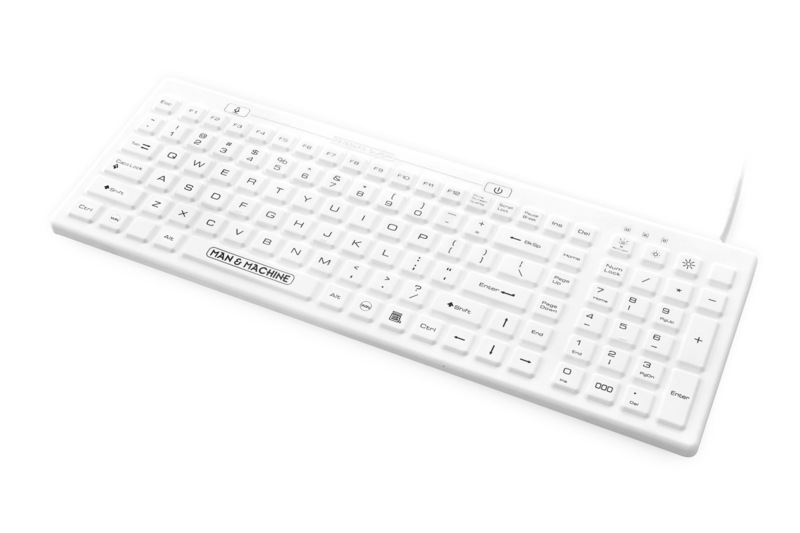 The silicone skin makes for a keyboard that types quiet as a feather. 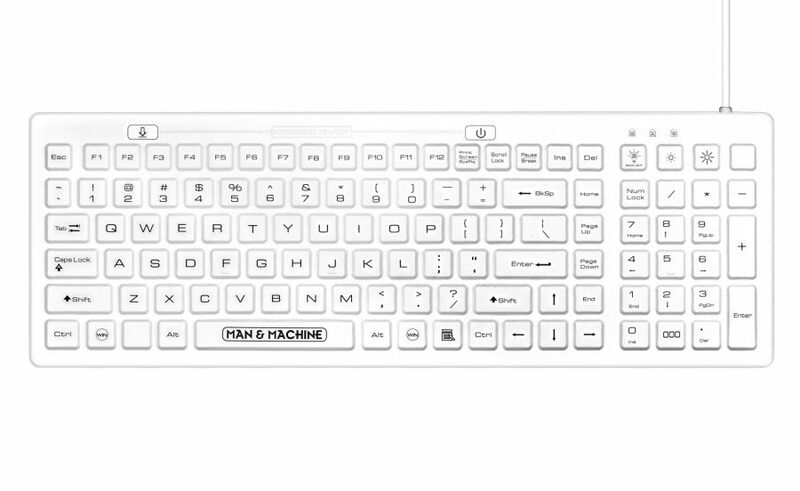 Keep your medical, dental or laboratory facility at ease with a quiet keyboard from Man & Machine. 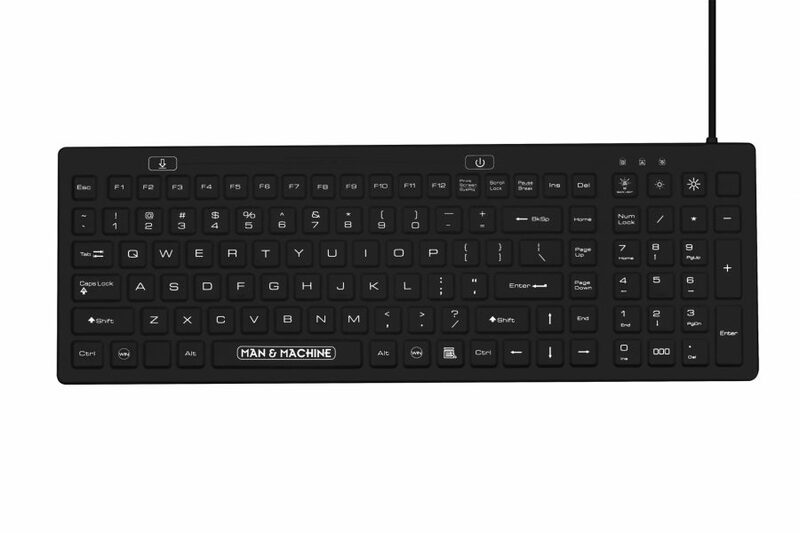 The locking mechanism allows the staff to wash the keyboard without the need to disconnect or put the computer to sleep. Just lock it, wash it, and unlock it. It’s that easy. 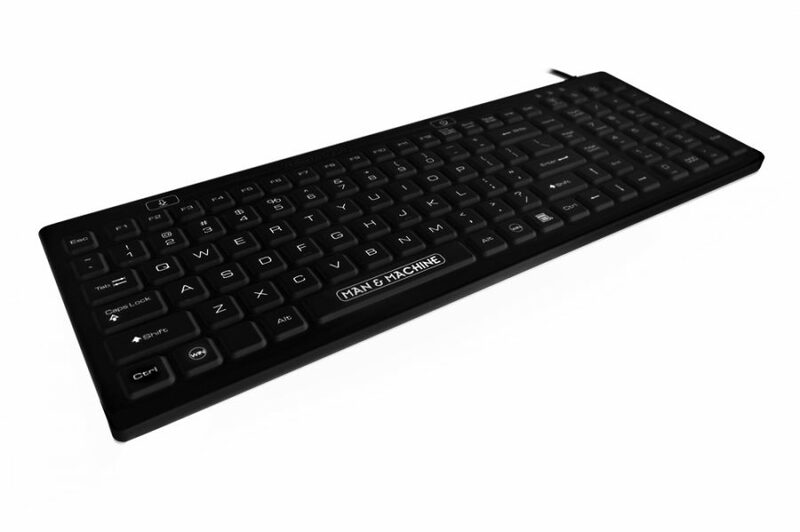 With a locking mechanism and built-in backlight, this off-the-shelf keyboard is a waterproof keyboard for many professional settings. SKU: DCOOL. 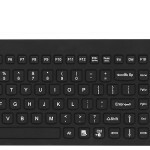 Categories: Waterproof Keyboard Product Line, Courtroom Keyboards And Mice, Value Keyboards And Mice, Office & Government Keyboards, Premium Keyboards and Mice For Dentist Offices, Sealed Boating Keyboards And Mice, Sealed Keyboards Resturants, Silent Keyboards and Mice For Libraries, Value Products For Medical Environments.